An estimated 400,000 hectares of crops – primarily corn – were washed away just weeks ahead of the main April–May harvest. Other key sources of income, like livestock and fisheries, have also been badly affected. Victims will need sustained support until they can get back on their feet – in the case of subsistence farmers, until the next main harvest in mid-2020. “We need to work together with the Government of Mozambique and the communities to ensure rehabilitation is done in a way that will prevent this devastation happening again, build better everything: houses, schools and health centers to stand the shocks,” added Beasley. 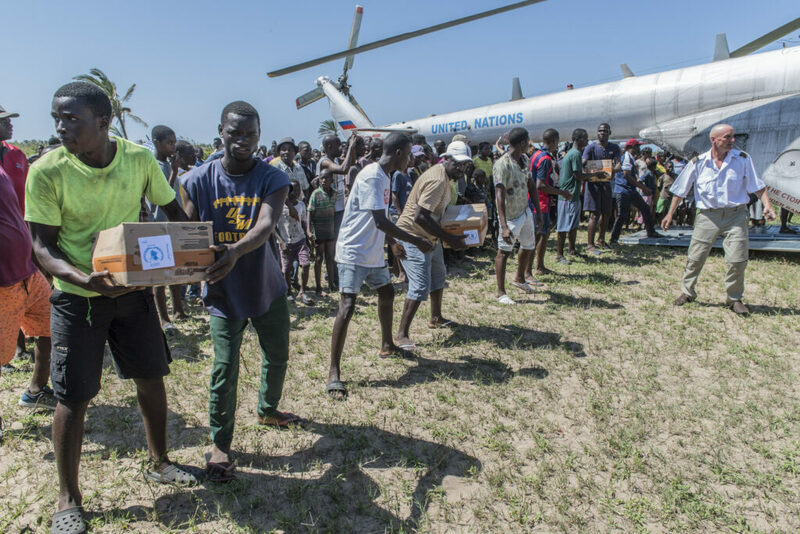 Displaced cyclone victims sheltering in scores of schools and churches in Beira and surrounding areas have received easy-to-prepare fortified blended food. Sixty-six tons of high energy biscuits airlifted into the country have been dropped by helicopter to people stranded by the floodwaters. WFP requires $140 million for the next three months.